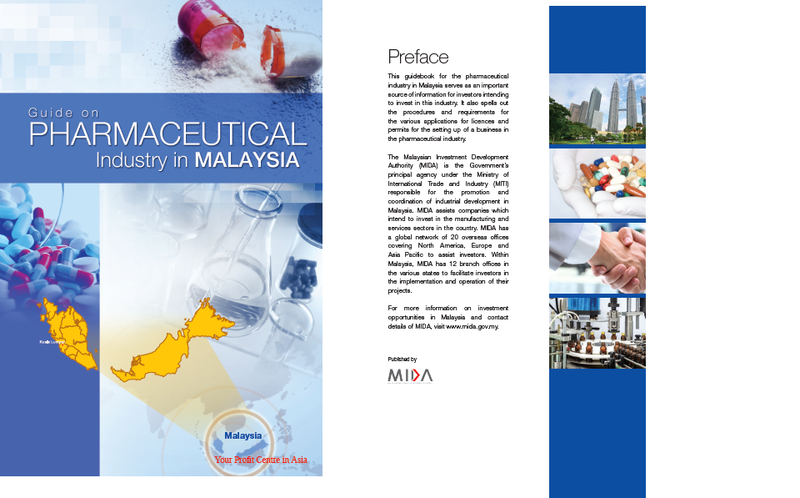 This guidebook for the pharmaceutical industry in Malaysia serves as an important source of information for investors intending to invest in this industry. It also spells out the procedures and requirements for the various applications for licences and permits for the setting up of a business in the pharmaceutical industry. In this topic, the background of Malaysia and key Economic Indicator is listed in details. Malaysia’s primary care model has been acknowledged by the World Health Organisation as a viable system to achieve “Health for All”. For starting a business in Malaysia, the main fees which need to be paid are fees to the Companies Commission of Malaysia (SSM) and fees for company secretarial services. The manufacturer of pharmaceuticals and related product is categorised as “promoted activities” or “promoted products”. In this topic, Regulatory Agency, Drug control agency, Product registration, New application processing procedure, Application formalities, Application processes, Regulatory outcome, Registration maintenance, Online registration system, License issued for registered products, are lsited in details. In this topic, MIDA Overseas offices and MIDA state offices are listed in details.